Systemic failures were uncovered in 2013 when the Trust fell foul of a review conducted by Sir Bruce Keogh, Medical Director of the NHS. The investigation found that the hospital was not providing ‘consistently high quality care to patients’ and were guilty of ‘major failings’. 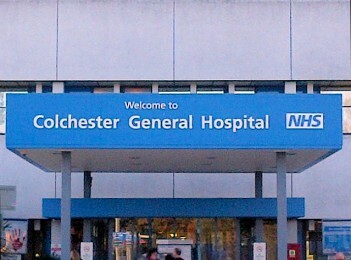 Since then Colchester Hospital has been in ‘special measures’, which means that the Trust is subject to a high level of scrutiny by the CQC and other healthcare watchdogs and its progress is tracked and made available to the public. The latest report by the CQC is based on an inspection that took place over four days in September last year and rates the Trust as ‘inadequate’ for the second year running. The report said that there were a number of patients that were at ‘high risk of harm’. Other problem areas identified in the report include: out-of-date equipment, operations being regularly cancelled and low staffing levels. Particularly concerning were the findings that terminally ill patients did not always receive “safe or effective care” and cancer patients had to wait more than 100 days for treatment. This will be a worry to many patients and their families. As a result of the findings, the CQC has ordered that the Trust remain in special measures and for the next three months submit weekly updates on the steps that are being taken to improve the service. If the Trust cannot show that effective changes are being made, then the CQC will consider further steps. If you think that you may have been the victim of a medical accident, contact one of our Medical Claims Advisors to find out more about how we can help you with your claim.